Free 30-Day, Full-Featured Trial on all products! No credit card needed. No obligation. Alert on file deletes, moves, etc. And our agentless monitoring is as easy to use for remote distributed locations as it is for local servers. PA File Sight's active file and folder auditing can be an important part of meeting regulatory standards such as Sarbanes-Oxley, ISO and the Payment Card Industry Data Security Standard. With the built in security settings, managers will know if files are tampered with, deleted, or being read by those who shouldn't have access. PA File Sight's advanced auditing technology has virtually no performance impact, unlike solutions that require native auditing. See for yourself why companies around the globe choose PA File Sight as their file auditing software of choice. 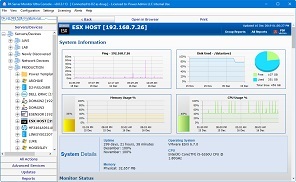 PA Storage Monitor is the best solution for monitoring large disk volumes, reporting on the stored content, etc. Using the Satellite Monitoring Service, remote servers are monitored on their local LAN, and then alerts and reporting information are sent back to the central service. 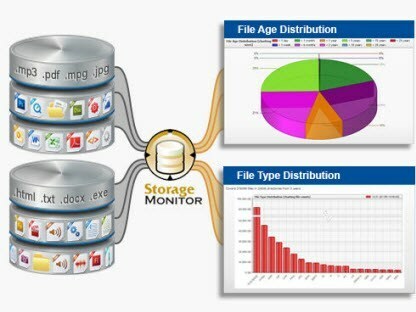 The File System Analyzer module in PA Storage Monitor is possibly the most important and powerful of all of the monitors. It catalogs one or more entire disk volumes, including information on directories, files and file owners. This catalog can then be used to generate rich reports. Custom file searches by name, type, age, size, owner, etc.